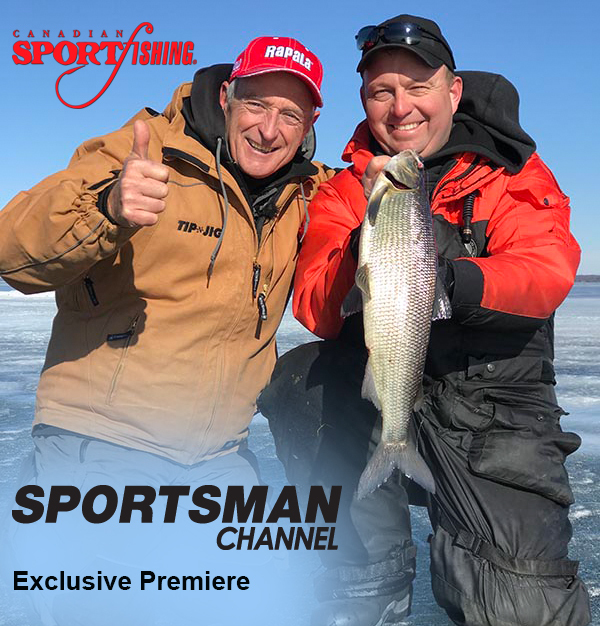 Canadian Sportfishing Series exclusive Repeat “Ice Whitefish Action.” on Sportsman Channel Canada April 1, 2019. Italo Labignan video, Cranking for Walleye. You can watch most of our TV shows and video tips by going to our Italo Labignan YouTube channel. If you enjoy our TV shows and tips make sure to subscribe to our channel and receive notifications every time we post a new video. Many Canadians are heading to Florida for a spring break. 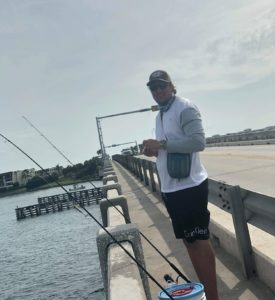 While some are going to Disney, or just hitting the beaches, a few are packing their fishing rods. Connor and Kyle Grdosic did just that. 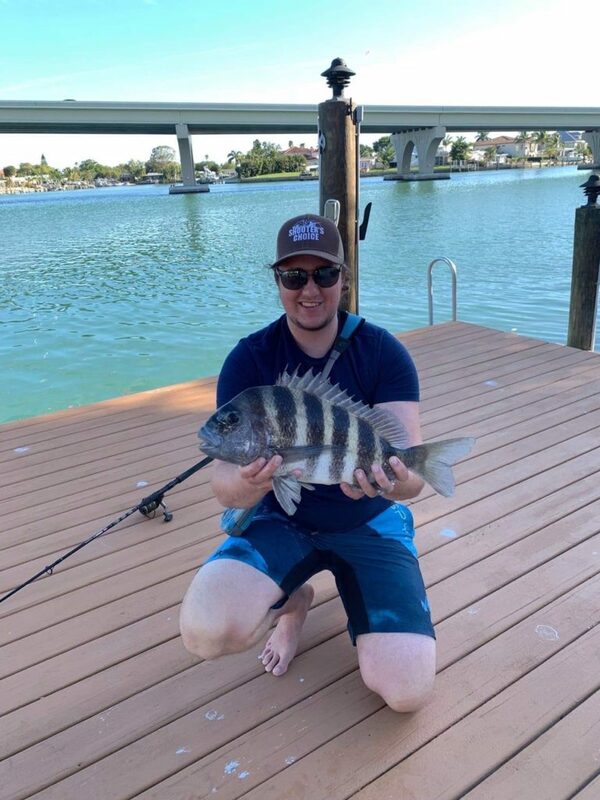 A Florida vacations would not be a complete vacation without fishing. 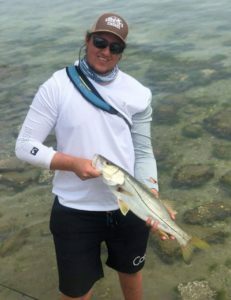 or wade fish as he is doing above, you can catch nice Snook just casting artificials during the day and also at night. 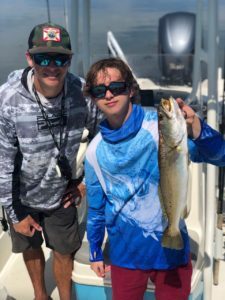 Kyle shows off a nice Spotted Sea Trout he caught fishing the shallow flats. 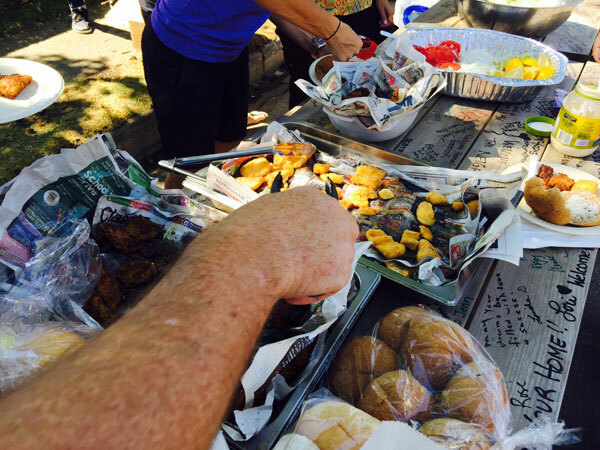 These fish are plentiful all year long in water 2-5′ deep. The main ingredient to attract these fish is Eel Grass where their favorite critters to feed on live. 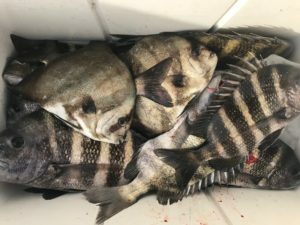 Sheepshead and even Spadefish are also plentiful in the inter-coastal waterway, on the flats and especially around dock, pier and bridge piles. They should be in the shallows until the water starts to warm up in June.